My amazing fiance Alex knows me so well that he got me the perfect gift for my birthday, a racecation to Austin to see my cousin and run the Warrior Dash. And cheesecake from Cheesecake Factory. But, the highlight of this post is the race! 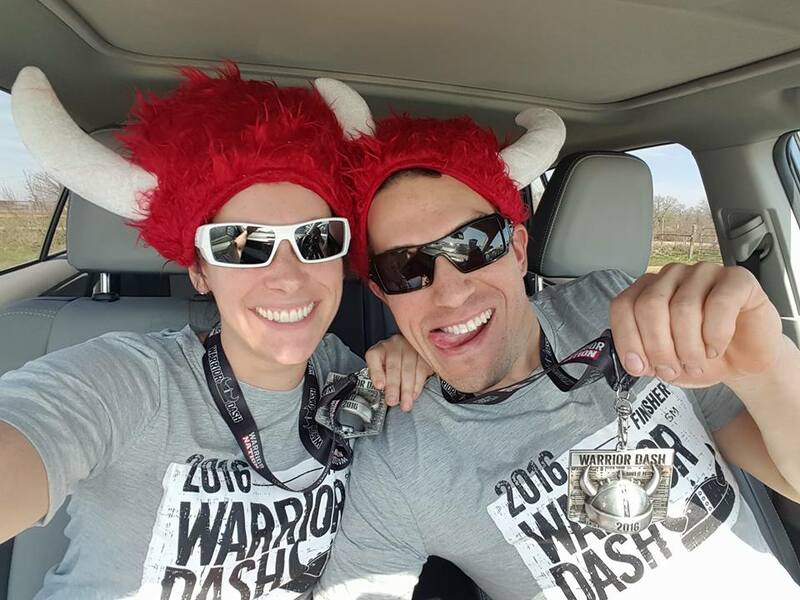 The last time I ran a Warrior Dash was in Colorado 2013, and it was a blast. Warrior Dash is one of my favorite race series. The course, the obstacles, the swag, the medals, and the entertainment are well organized and just plain fun. So, when Alex registered the both of us for this race, I was pretty excited. We wore coordinated costumes: he wore a Superman shirt and I a Supergirl tank--complete with capes. 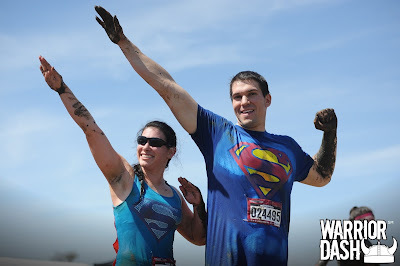 I'll be honest with you, I was a bit skeptical about how the capes would perform with all the mud and obstacles, but they were no problem at all. 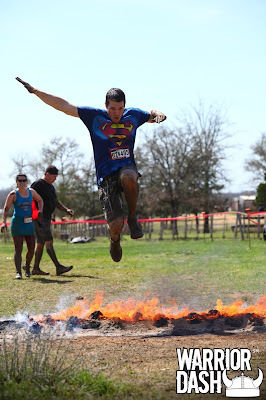 In fact, the capes billowing behind us looked pretty cool, according to the comments we received on the course from fellow warriors and volunteers. I felt like I needed to perform better and run faster due to wearing such super attire, so as not to sully the Superman legacy. My favorite thing about the Warrior Dash race are the obstacles. 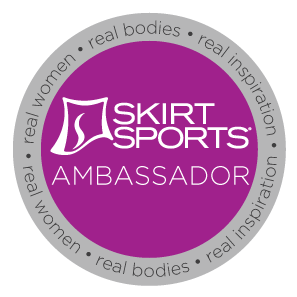 Although they are pretty challenging, they are also do-able. 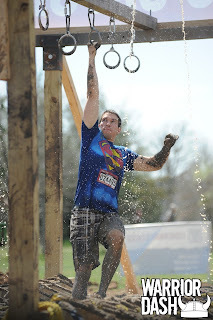 The last mud run I ran, the Gauntlet, had obstacles so challenging that I could only complete about half of them, so this experience was a great boost to my confidence and helped me to feel strong, like a Warrior. I have a sort of intense fear of falling and of drowning. Many of the obstacles required us to climb a great height, then complete an additional challenge at the top of whatever structure we scaled (like a balance beam or crossing a net), then climb back down. With the encouragement of Alex, I completed all of these obstacles. More terrifying to me were the two water obstacles. I have always hated the water. I don't really like swimming to the point where I took swim lessons for the first time when I was 28 years old. My head being under water terrifies me. So, on the Alcatraz obstacle, which had water about 6-feet deep, was frightening. My shoes weighed down by dirt and mud already, I had a hard time even floating, so I just kept grabbing onto Alex. Poor Alex had to help get me across that obstacle to the floating island, and then continue supporting me the rest of the way across to the opposite bank. I'm seriously so thankful for him, because I was pretty freaked out as I kept sinking under the water. Still, I made it and survived. Hooray! The most iconic obstacle of these sorts of races is the fire jump. 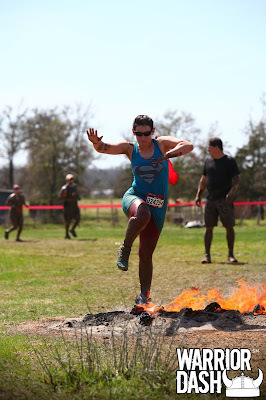 I always psych myself out with this one, but I gathered my courage and superman-ed over the flames. I hope this made for a good picture, but I usually tend to have a weird face when I get that close to fire. 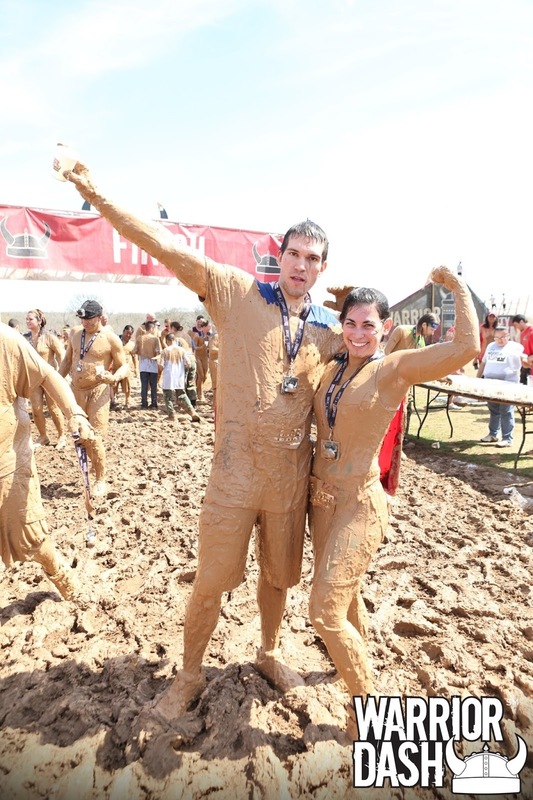 You can't run a mud run without mud, and this Warrior Dash course had tons of it. The mud was so thick, it was like pudding. 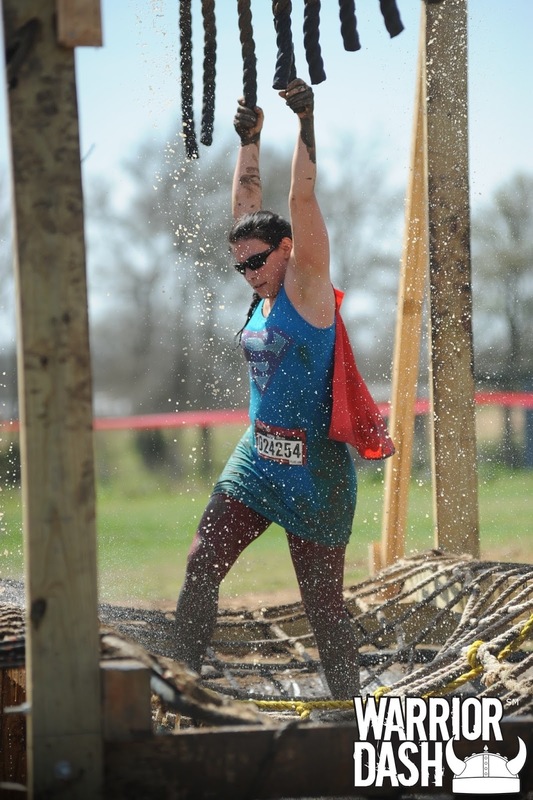 There was a muddy low crawl, a number of mud mounds to scale, and the final obstacle was essentially a swim through the thick pudding-like mud underneath barbed wire. We finished that obstacle covered with a thick layer of mud looking like the mud monster from the classic Scooby Doo episodes, and crossed the finish line to receive our now-muddied medals. The kids passing out the medals were pretty cool and wanted all of us muddy finishers to give them muddy hugs. I need to throw the word 'muddy' in about two more times because I feel like I just can't convey how muddy we got doing this muddy run! We felt great at the end of that race! We braved the long shower lines to rinse off with the provided hoses, which really just got some of the dirt off. About two real showers later got most of the remaining mud out of my hair. But that's what just adds to the jubilant atmosphere of the Warrior Dash. Alex and I proudly sported our finisher shirts, finisher medals, and fuzzy red viking helmets the rest of the day (okay, we only wore the hats for the drive back to my cousin's, but still). 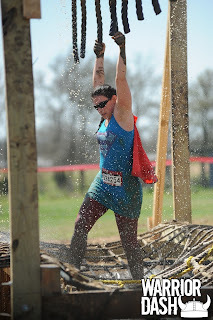 I had such a great time, even in light of the post-race soreness, that I want to do another Warrior Dash this year. I do wish we had brought some people to take pictures of us though, because the Warrior Dash had these huge structures put up just for picture opportunities. It would've been a bit risky to try and carry a phone around when we were caked in mud from head to foot. I'm just happy that they provided free photography along the course and at the finish, but next time I will be sure to take advantage of the photo ops. After two years of mud running I just did my first warrior dash this year! It was definitely a fun race, and it's great for first timers. I'm glad you had a great time! 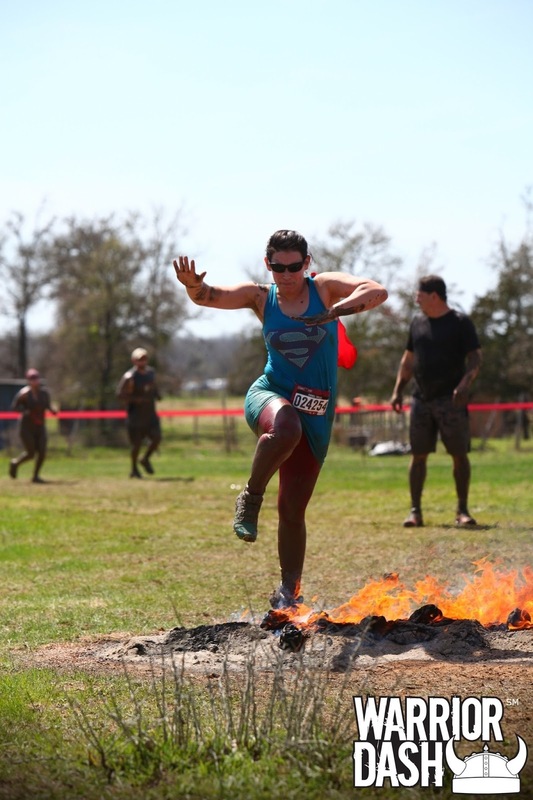 I also get this really weird look on my face when I jump over fire-it's like super concentrated, but I really enjoy that obstacle! Hahaha, I feel like I get that same look. I was trying really hard this time around to have a more relaxed look.